In 2010, The Taliban claimed U.S. soldier Sgt. Bowe Bergdahl had converted to Islam and had taught them bomb-making techniques. Bergdahl had also changed his name to Abdullah, the Taliban claimed, though the mainstream media largely ignored the story, seeing it as comparable to the tale of Sgt. Brody in the fictional Homeland television series on Showtime. The U.S. Department of Defense (DOD) also dismissed the claims, insinuating that it was jihadist propaganda. But in the aftermath of Sgt. Bergdahl’s release yesterday, more information has come to light, raising further questions as to whether the Taliban had in fact been telling the truth about Sgt. Bergdahl. The circumstances behind the sergeant’s disappearance and kidnapping remains suspect. Why he seemingly walked off of his forward operating base in 2009, an infringement upon basic standard operating procedures, has not been explained. Lt. Col Allen West noted that there is no precedent for the Taliban detaining American soldiers: “Our troops are brutally, ritually, and savagely murdered — to include American security contractors (remember the Fallujah bridge) — not held for five years”, he said. The reports that Bowe has had “trouble speaking English” may seem confusing at the surface, especially since English is his native language and he has been seen on video over the past few years speaking the language without issue. The message insinuates that Sgt. Bergdahl decided to learn the language of the Islamic texts. Only a handful of Afghanistan’s 31 million people understand Arabic, and the official languages of the country are Pashto and Dari. Robert Bergdahl’s (Bowe’s father) behavior seems to point to the possibility that he also may have converted to Islam and has embraced radical elements. In May of 2011, Bob Bergdahl released a video that pleaded for his son’s release. He said, “Strangely, to some, we must also thank those (Taliban) who have cared for our son for almost 2 years… We understand the rationale of the Islamic Emirate (Taliban) has made through videos.” The reference to the Taliban as the ‘Islamic Emirate’ is, by way of prior evidence, the preserve of sympathisers. 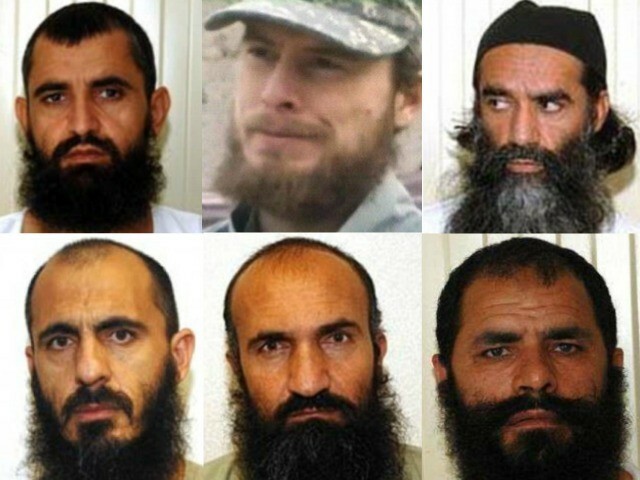 Bob Bergdahl’s long beard appears to be in accordance with traditional Islamic customs, and its scraggly and unkempt appearance is, while no sure sign of conversion, a noted trait in white converts. CNN reported that he grew his beard to show “solidarity” with his son. In April this year following the re-arrest and detention of former Guantanamo detainee Moazzam Begg, Bergdahl tweeted his support for the man once called “Britain’s most famous supporter of the Taliban” by Amnesty International’s Gita Saghal. Saghal, who famously quit the organisation following its work with Begg’s “CagePrisoners” group (now “CAGE”) was supported by numerous counter-terrorism experts who noted Begg’s prior signed confession to being a jihadist recruiter. He is now awaiting trial for providing terrorist training in Syria. Bergdahl’s vocal support for him is particularly troubling, though he finds himself in the company of numerous naive Members of the British Parliament. On November 19th last year, Bergdahl linked to a jihadist website that attributed “the invaders” (US & Coalition forces) as the “main impetus of war” in Afghanistan. On May 24th, Bergdahl linked to a movie produced by the Islamic Emirate Of Afghanistan, a site that uses the Al Qaeda flag as its banner, saying, “I am still working to free all captives on all sides of this conflict.” Additionally, the website is recognized as the Taliban’s English-language media outlet. The Islamic Emirate of Afghanistan existed in the country under Taliban rule from 1996 to 2001.